Recently, IPP attended the leading International Land and Air Defence and Security Exhibition. During five days, at the Paris Nord Villepinte Parc des Expositions, Eurosatory gathers all the players involved in the land and air Defence and Security domains. With 1,802 exhibitors from 63 countries, 57,056 international visitors from 153 countries and 227 Official Delegations from 94 countries, this edition of Eurosatory was a great experience for IPP’s staff. We were able to meet a lot of our customers, potential customers and (new) principals! Because of many live demonstrations (the French Army, French Police, Special Operations Command, National Gendarmerie Intervention Group, Research and Intervention Brigade and The Paris Fire Brigade) this edition was very inspiring. 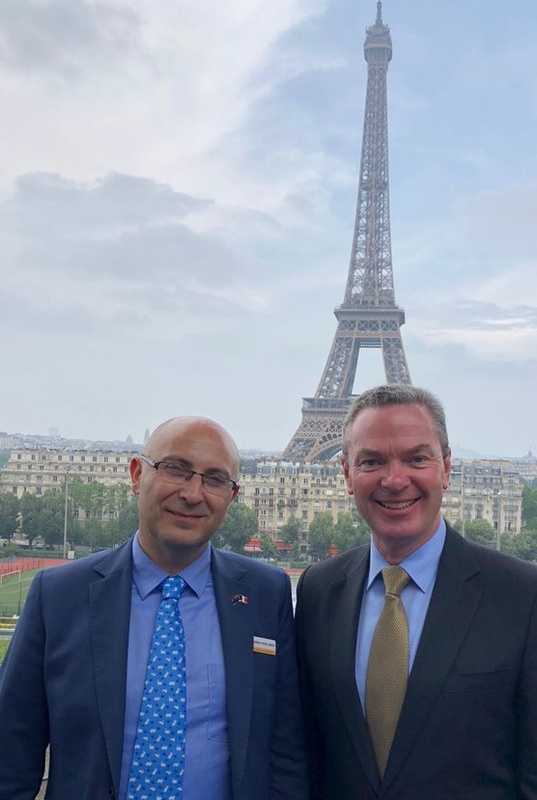 HON Christopher Pyne, the Australian Minister of Defence Industry and IPP’s Fernando Pérez, Area Sales Manager for France, Spain and Portugal met in front of the Eiffeltower.